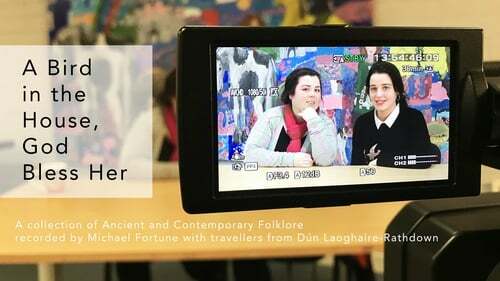 Last September, artist and folklorist Michael Fortune began a six-month journey navigating a wealth of folkore and customs shared with him by a group of travellers on the outskirts of Dún Laoghaire-Rathdown in Dublin. The outcomes of this engagement were many and one was very special indeed - a collection of ancient and contemporary folklore on film entitled A Bird in the House, God Bless Her. The collection features material which has never before been recorded on film and stories which had been resigned to past memory and the texts of many a folklore collector. Yet here on the outskirts of Dublin, Michael found people, young and old, whose everyday lives and experiences are interwoven with these stories, beliefs are customs. Through his engagement, Michael aimed to capture these accounts and beliefs in as true a voice as possible where the emphasis was not on collecting and archiving, but instead about being gifted something very precious and rare, which he gently reworked and handed back. From the outset it was his intention to record a body of material that would be a living resource which could be shared and watched by the travelling community themselves; material that immediately had currency and value for those who featured in it and those who could relate to it. 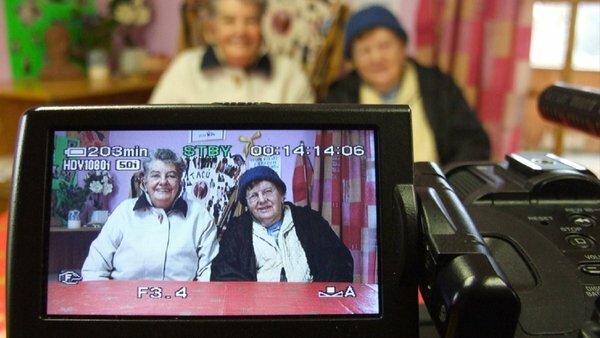 For the RTÉ Culture Michael has prepared a series of short clips from this mammoth six-hour collection to give you a rare insight into the world of the people recorded where folklore is not a voiceless story on paper recorded for nostalgia but instead something which is alive, to be celebrated, reflected upon and enjoyed. The material presented here ranges from rare Easter and May Day customs, personal stories involving fairies, the banshee and shape-shifting hares to more contemporary customs such as blessing cars and acronyms used on Facebook. This collection was recorded and produced by Michael Fortune with travellers in the Southside Traveller Action Group (STAG) and was produced as part of a project called Exit 15, which is a partnership between Dún Laoghaire-Rathdown County Council and Voluntary Arts Ireland. The programme is funded under the Arts Council’s Invitation to Collaboration Scheme 2017 and by Dún Laoghaire-Rathdown County Council.